I was diagnosed with triple negative breast cancer when I was 35. I have been without evidence of disease since 2013, after neoadjuvant chemotherapy and a bilateral mastectomy. I am an academically trained cancer researcher, having earned my PhD from Georgetown University for my research into the interaction between estrogen receptor expression and growth factor signaling in breast cancer after receiving a bachelor’s degree in Biochemistry from the University of Illinois. Now, I draw from my education and my experiences as a breast cancer patient to work with scientists as a research advocate. 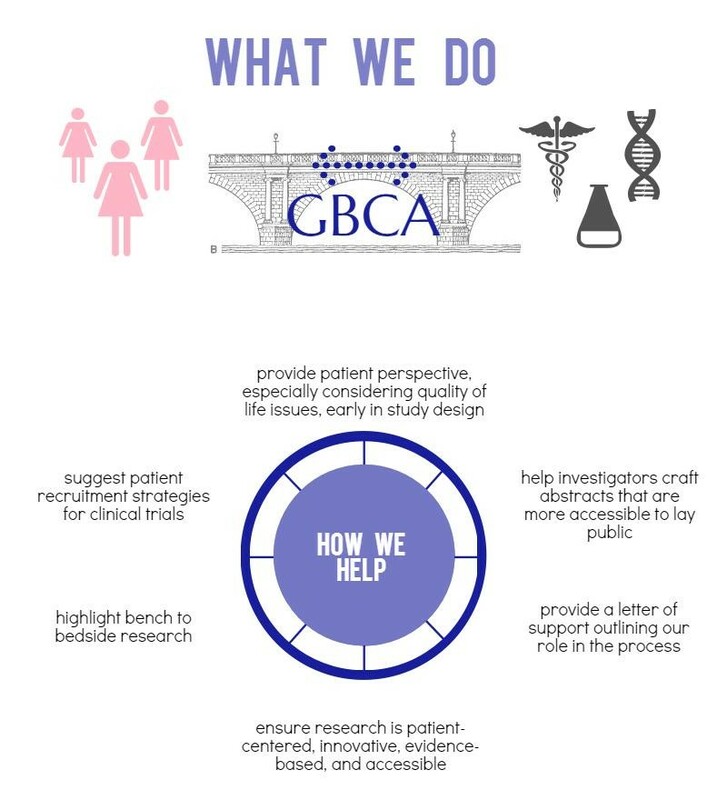 I am a clinical research advocate for Science 37, and am the Patient Advocate for the Metastatic Breast Cancer Project at the Broad Institute of MIT and Harvard. I am an active member of a local support group for breast cancer moms with young kids, and I am a member of #BCSM, a breast cancer group on twitter. I write a breast cancer blog, Run Lipstick Chemo, and I am a regular contributor to the Cure Magazine Community. In addition, I am on the Steering Committee for the Coalition for Clinical Trials Awareness and am a Co-Chair of the Planning Committee for the AACR 2019 Annual Meeting. As a scientist, I was impressed by the strong voice that advocates have, and I felt that understanding the science for which they advocate could increase the impact of their message. I also saw the impact that understanding the patient perspective could have on a researcher’s project. I hope to act as a bridge between the medical and research community and the patient community, helping each to better understand the other. Most of all, I want to do all I can to help good science succeed to help those diagnosed with cancer live longer and better lives. I graduated from the Tumor Biology Training Program at Georgetown University with a PhD in 2004. I have attended both the AACR Scientist <-> Survivor program and the Accelerating Anticancer Agent Development and Validation (AAADV) Fundamentals Workshop which provide specific advocate training. I have served as a reviewer for the DOD Breast Cancer Research Program and the New York Department of Health Peter T. Rowley Breast Cancer Program, and I have served as the patient representative on an ASCO Clinical Guidelines Panel. Various contributions to Science 37 blog, Trial Mix. Holloway, Jamie. When it Comes to Breast Cancer, I Run for Life. Cure 2016. Holloway, Jamie. Jamie Holloway– Breast Cancer Scientist and Consumer, Jamie Holloway. Department of Defense Congressionally Directed Medical Research Programs: Consumer Stories. 2015. Holloway, Jamie. Ten Lessons Learned From Having Breast Cancer. Scary Mommy. October 14, 2015. Holloway, Jamie. The Indignity of Breast Cancer. Cure. 2015. Holloway, Jamie. An Extraordinary Approach to Metastatic Breast Cancer. Cure. 2015. Holloway, Jamie. How to Share Your Story. American Association for Cancer Research: Survivor and Patient Advocacy How-To Series. 2015. Holloway, Jamie. Triumph of Ambivalence. Arlington Magazine 2014 Jan/Feb 4(1): 30-31. Kulkoyluoglu E, Wrobel K, Chen Zhao Y, Chen KL, Hieronymi K, Holloway J, Landesman Y, Ray T, Ray PS, Lipka AE, Smith RL, Madak Erdogan Z. Targeting nuclear transport pathways to overcome endocrine resistance and recurrence. American Association of Cancer Research, New Orleans, LA, 2016. Abstract # 1812. Holloway JN, Lucas W, Salamone J, Brundage S, Winarsky S, London M, Greenwood N, Stahl S, Carbine N, Goyes R, Leventhal KG, Isaacs C, Clarke R, Chisolm DC, Ernst E, Price E, and Shajahan-Haq AN. 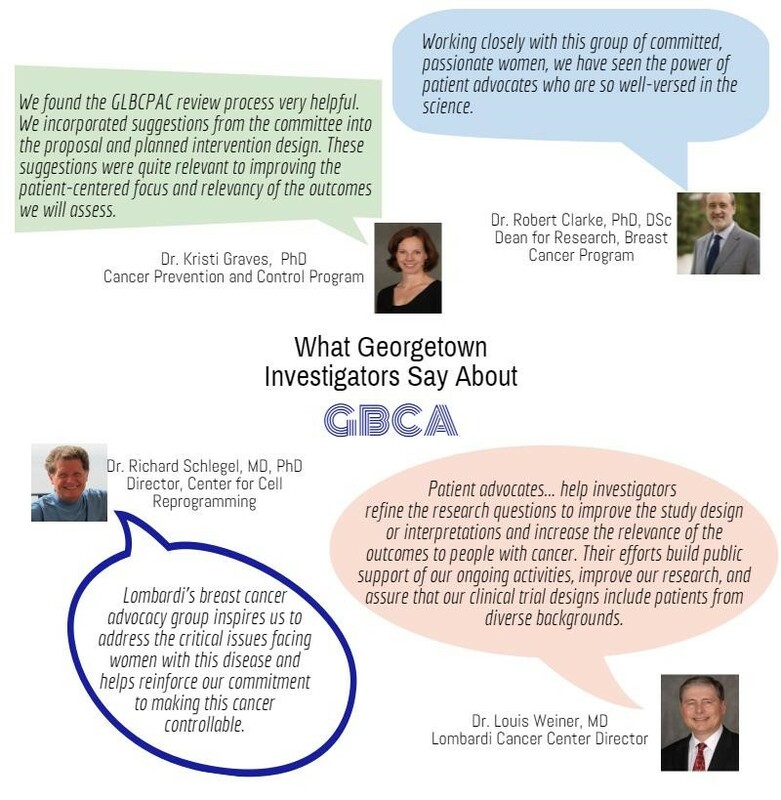 Impact of Patient Advocacy in Breast Cancer Research at Georgetown University Lombardi Comprehensive Cancer Center. American Association of Cancer Research, Philadelphia, PA, 2015. #P27-ADV01.